Are you planning to work or continue your education in another country and need to apostille a Diploma? 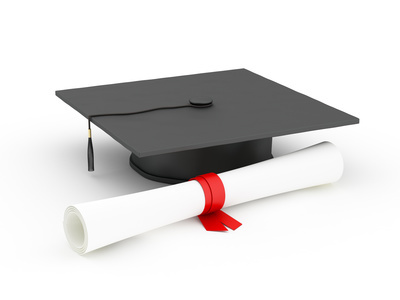 We can apostille diplomas issued from any University, College, High School, and trade school. We can even apostille State issued certificates (Example: Teaching English as a Foreign Language (TEFL) Certificate, Teaching License, Accounting certificate, etc…). In addition to obtaining an apostille on your diploma, you may also be asked to obtain an FBI criminal background check apostille. Our office in Washington DC can assist you with the apostille but you will need to contact an FBI approved channeler to help you with the background check. The first step in obtaining an apostille on your diploma is to contact the school’s registrar. You will need to speak with the school’s registrar and request the diploma to be signed and notarized. Every school has procedures in place on how to notarize a diploma. Some will request that you mail in the original diploma while others may request that you order a new diploma. We recommend that you contact your school today for instructions. Most countries will accept a notarized color copy of your diploma. Remember, you can always order a new diploma from the school. Warning: A diploma must be signed by the school’s registrar, notarized, and apostilled from the same State the school is located in. Once you have obtained the notarized copy, you can them mail in this document to our office for processing. A diploma mailed in directly from the school must at least include our order form. It’s important that this order form accompanies your diploma so we know who to contact for payment once we receive it. A second option is to have the diploma mailed to a family member or friend who will then forward it to us with the order form. We recommend that you contact us so we can email you the correct forms. We can apostille your diploma as fast as one business day. Please, call our office at 1-888-810-4054 ext 1 so we can provide you the instructions and order forms. At International Apostille Services, Inc., we take the guesswork out of getting an apostille on your documents. Our trained and knowledgeable staff are available Monday – Friday from 8am to 7pm to answer your questions and to provide you easy to follow step by step instructions. 1-888-810-4054.